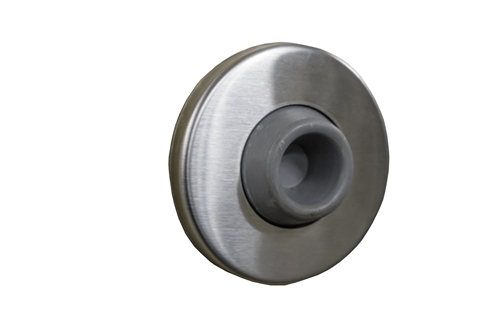 This door bumper is fabricated with 13 gauge type #304 stainless steel. The back plate has 3 mounting holes and comes with 3 screws and anchors for mounting into wall. A 22 gauge stainless steel cover snaps over the backing plate once mounted. 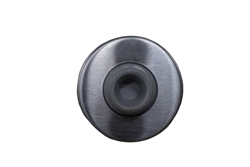 The center is concave grey rubber fixed to the flange.